I worked at a conservative engineering firm where we were required to wear a suit and tie every day. Most guys alternated between their navy and gray suits with nondescript neckwear or red power ties if they were higher up in the hierarchy. This uninspired uniform didn’t sit well with me. I often wore fashionable, trendy ties as a form of silent protest. My style choices caused a few eyebrows to be raised, but I didn’t mind because my ties allowed me to stand out in the sea of cubicles. Ties eventually became extinct in our office when the company adopted the business casual dress code. However, the khaki pants and button down shirt routine got old fast. 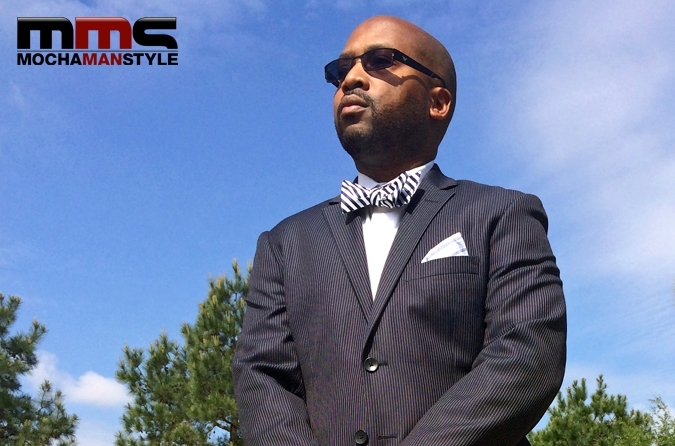 I decided to continue wearing the clothes I was comfortable with – sports coats, tailored shirts, and ties. Every time they saw me, my coworkers asked the typical questions – “Are you interviewing for a job?” “Are you going to a funeral?” “Where are you preaching today?” It was as if the existence of my ties was threatening the social fabric of our workplace. But I weathered the storm and continued to take a stand for men’s style. Today, ties seem to be making a comeback. And companies such as Tie Society, a monthly subscription service for designer menswear accessories, are leading the charge. Although I don’t work for my former employer anymore, I still wear ties regularly (I’m currently obsessed with bow ties and tie clips made from nontraditional materials). I tried Tie Society for three months because I had a regular TV gig and I wanted to inject some flair into my wardrobe without buying a whole new wardrobe. Tie society has four subscription levels – 1 Item ($10.95), 3 Items ($19.95), 5 Items ($29.95), or 10 Items ($49.95). When you sign up, you can browse hundreds of unique styles, including designs from Burberry, Armani, Hermès, Brooks Brothers, and a wide range of independent labels. Select your items, wear them as long as you’d like, and exchange them whenever you want. I must admit that I was initially concerned about the cleanliness of the items. I inspected each shipment carefully to make sure they were free of stains and unusual smells. I actually spoke with one of the owners about my concern and he told me that Tie Society is an NCA certified cleaner and the company takes great care of its ties. With that problem addressed, I proceeded to search for a knit tie because I like to add some texture to my outfits. I selected a maroon Dickson Knit tie (see photo above). It worked perfectly with my blue, patterned Perry Ellis suit and checked shirt by Saks 5th Avenue. I also selected a bow tie because I was embarrassed that I didn’t know how to tie a bow tie (I had been wearing clip-ons). I found a cool blue & white striped bow tie that went well with my pinstriped Calvin Klein suit. After watching several videos on YouTube (this video helped me the most), I finally tied the perfect knot and was ready to hit the town. Over the course of my subscription, I ordered several more tie designs along with pocket squares and cuff links. 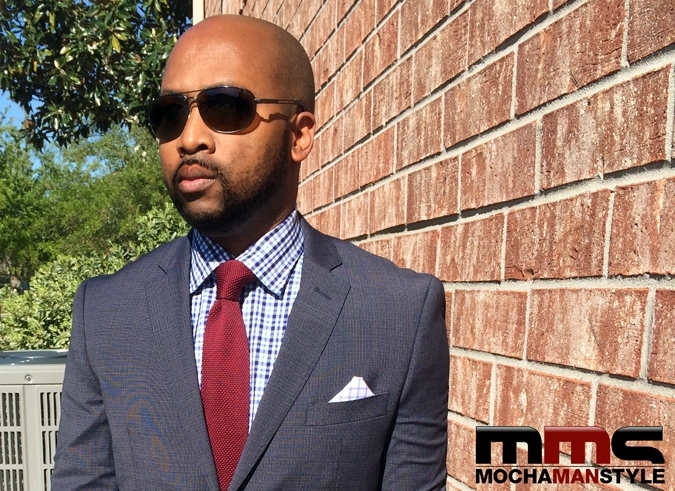 I was pleased with my choices because I took the time to carefully curate my Closet with items that fit my style. If you’re the type of guy who’d rather own your items, you can buy items directly from Tie Society. In addition to ties, you can also purchase wallets, sunglasses, and watches. In my opinion, it’s best to stick with the subscription model. Not only do you have access to a wide variety of designer men’s accessories, but can you also take style risks without any long-term obligation.